Eddie Campbells Bacchus is a true epic, spanning a decade of work, over a thousand pages, and several millennia of alcohol consumption. Its Campbells version of an American-style comic book, filtered through his own brilliant, whimsical, and wide-ranging sensibility. 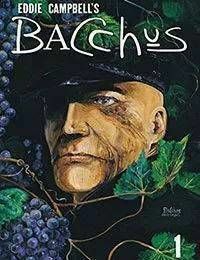 Blending action, comedy, suspense, and an ear for a great story, Bacchus brings the gods and myths of ancient Greece to modern life, as if they had never left.